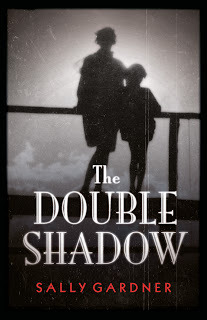 After meeting Sally Gardner in the summer and hearing all about her new book, The Double Shadow, I couldn't wait to take part in her blog tour. Sally kindly answered some questions about her book and the way she writes which I am going to share with you now. Q: You have written books for quite a few different ages groups. Which age group do you prefer writing for? A. That's a hard one to answer. The Double Shadow is for the older reader and it is the first time have ventured that far up the ladder. You get a great view from that perspective and are able to be more daring than you can be a few steps down. Q. Out of all the books you have written, which one is your favourite? A. It's always the one that's just about to be published, which at the moment is The Double Shadow. Q. You used to illustrate your own books, why did you stop? A. I was too slow. It took me so long to do the illustrations and I never thought them to be all that good. When I started writing I found the greatest palette in the world. Words can paint all the scenes and characters I want. Q. You have a new book called The Double Shadow coming out, tell us a little bit about it? A. I was hoping you would ask. One day I will write a book that I can describe in an easy sentence but I haven't managed it yet. The best I can come up with for The Double Shadow is that its a "sci-fi family saga". It's about memories, the loss of memories and how, over time, they become a distorted fiction. Memory is the joker of the mind. The book is a love story, a story of families, what makes them and what destroys them, and is set against a background of the 1930s in a world that is about to crumble into the Second World War. Q. The Double Shadow is set in an old picture palace, what inspired you to use one as your setting? A. The old picture palace is a portal to the world of memories. I remember as a child going to the Saturday Cinema Club in a 1930s building with statues of of plaster gods holding up the ceiling. It smelled of smoke and magic. I love contained worlds. I have a great deal of experience of the theatre, having worked as a costume designer for 15 years before I started writing. The theatre, the opera house, the cinema are perfect for what I'm trying to write about. Another inspiration was one of my all-time favourite films, Sunset Boulevard. Q. Where did you get the inspiration for the memory machine, which is central to the storyline? A. Memory has always fascinated me. My beloved mother is losing hers and I think that was the start of the idea. Her memory landscape has changed completely. She sees the past through a pink gauze of forgetting and I thought that it would be an interesting idea if we could relive memories, not just as a two-dimensional but as a three-dimensional world, and what would it mean if we all remembered events differently. Q. What kind of research did you need to carry out before writing The Double Shadow and how long did it take you to write? A. I do a lot of research but I have become very selective. I read Juliet Gardiner's excellent books on the thirties and re-read Evelyn Waugh and Nancy Mitford. I talked to the veteran Bomber Command pilot, Tony Iveson. I read about physics and Einstein and the speed of light. I like to have an idea of what it is I need to research rather than go off on a wild goose chase. Under every historical stone lie gems that are too good to be invented. The past is a wonderful goldmine. Q. Do you plan before you begin writing or just go with the flow of the idea in your head? A. I start off with a scene in my head all worked out and as vivid as if I had filmed it. If I'm lucky I will have two or three of these in the can before I start writing. The rest is a journey. Often I take the wrong route, get lost and have to start again. But it's the journey that counts. You don't have a novel until you've typed the last full stop. Q. When writing, what is your daily word target? A. I write every day but I don't have a target as such. I aim for a thousand words a day. Q. How long did it take you to write the first draft? Do you edit as you go along or leave the editing until you have finished it? A. It takes me about a year to fifteen months to write a book and that's after I've done my research, so roughly two years a book. I like to polish each chapter as I go along and won't start another chapter until I'm happy with the one before. I think of them as beads threaded on a chain. I self-edit a lot and when the book is finished, I edit again and rewrite before I hand it to my publishers. Q. What are you planning to write next? A. I am on the second of three fairy detective stories for eight year olds. The first one is called Operation Bunny. My next novel for older readers is set at the turn of the century. It opens in the opera house in Copenhagen and that's all I really want to say about it. Q. Which authors inspired you whilst growing up? A. Charles Dickens, the Brontes, Kenneth Grahame, Erich Kastner (Emil and the Detectives), the Brothers Grimm, Hans Christian Anderson. Q. If you could have written any other book in the world, what would it be? Q. You write quite openly about your dyslexia on your blog and website. What advice would you give to others who wish to write but feel their dyslexia may hold them back? A. Don't be put off. It won't be easy and you will have to work harder than most of your contemporaries but don't think you can't be an author or that writing belongs solely to those who can spell Tuesday. Think of it this way: everyone can sing - and then there is Nina Simone. No one can sing like her. Being a writer is all about finding your voice, a unique voice, one that hasn't been heard before. There are many who can spell, know their grammar backwards but have no voice. Dyslexia is a gift, not a disease, and doesn't require a cure. Thank you so much for joining me today. You truly are an inspiration. 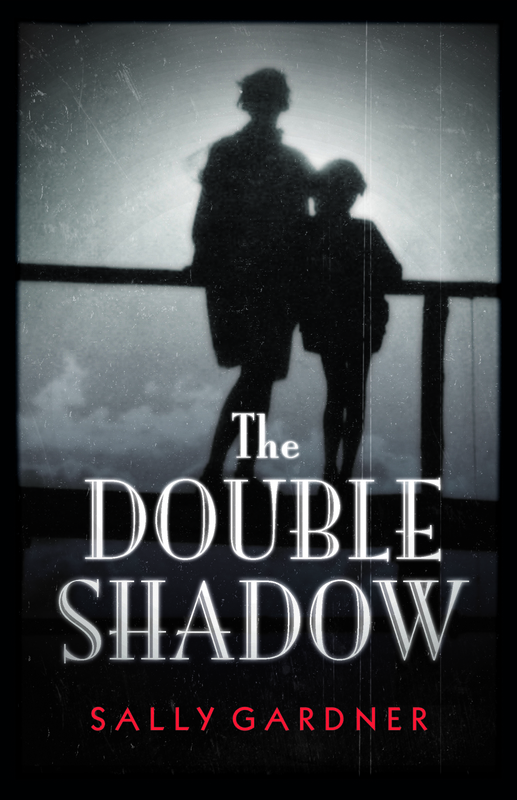 The Double Shadow is available to buy now. From the first chapter, I found my skin tingling with excitement! Pop back tomorrow for my review. Here is the trailer to find out more. To find out more about the blog tour, please see below. Such an interesting interview. I love the sound of Double Shadow, I'm a big fan of books that deal with memory as a result of my own memory problems. I also love the sound of the setting. Great interview, Viv and Sally and I love the singing analogy for dyslexia. It's amazing how many creative and visionary types have/had dyslexia. I work in a college and we have a big display of famous people with dyslexia, including Winston Churchill, Richard Branson, Agatha Christie - very motivational! Fantastic interview. She gives such great advice to those who have dyslexia.